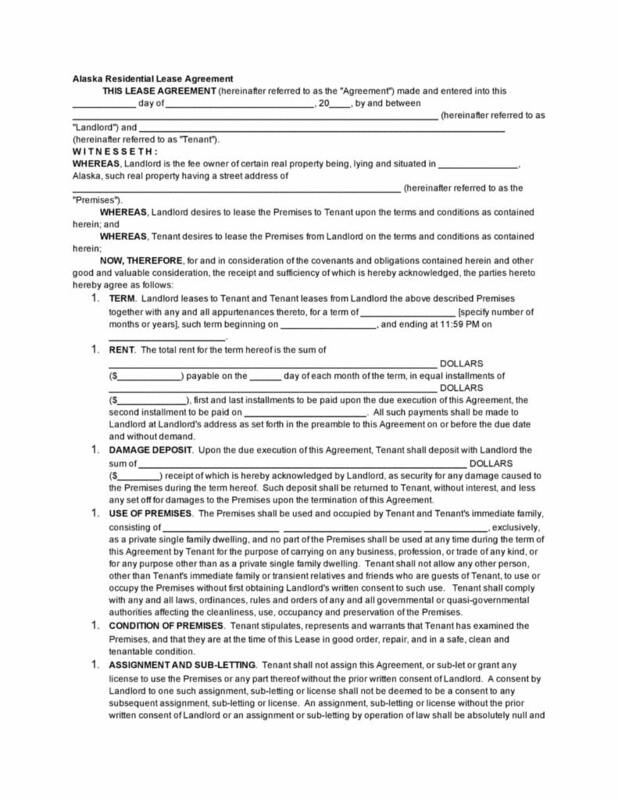 The date on which this agreement is being entered onto, Names of the Landlord and Tenant, Location of the property being leased. The term of the agreement, the amount of Rent, Damage deposit, the number of petsallowed, late charge in case of non-payment of rent. The premises will be occupied only by the tenant and his/her immediate family only. The premises will be delivered to the tenant in good order and condition. The tenant will not be allowed to sublet this property without prior written permission of the landlord. The tenant will not make any alterations, to the property without the written consent of the landlord. The tenant has no rights to keep any hazardous materials that are dangerous, flammable or explosive on the property. The tenant will be responsible for paying the charges of any utilities being used by him at the property during the term of the lease. This agreement will terminate itself in case the premises are destroyed in a calamity or casualty not caused by the tenant. The tenant will have to surrender the premises in as good condition as when he received it. If the tenant is in default of any terms of this agreement the landlord must provide the tenant with notice as authorized under AS 34.03.220. A late charge will be applicable if the rent is not paid in time every month. The rest of the clauses deal with Attorney’s fees, Governing Laws, Severability, signing of the Non-Waiver, Modification to the agreement etc. This form can be downloaded by clicking on the link at the below.